It seems inevitable that the high seas will eventually play host to a sort of proxy war as automated vessels clash over territory for the algae farms we’ll soon need to feed the growing population. But this rocket-launching robo-boat is a peacetime vessel concerned only with global weather patterns. The craft is what’s called an unmanned semi-submersible vehicle, or USSV, and it functions as a mobile science base — and now, a rocket launch platform. For meteorological sounding rockets, of course, nothing scary. 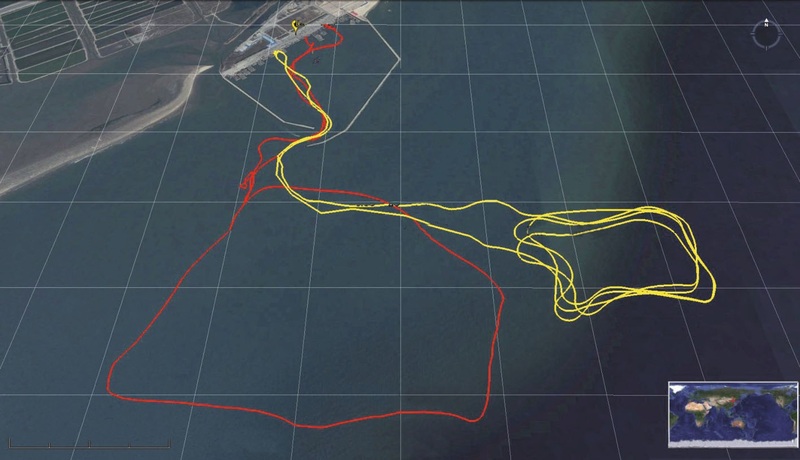 It solves a problem we’ve seen addressed by other seagoing robots like the Saildrone: that the ocean is very big, and very dangerous — so monitoring it properly is equally big and dangerous. You can’t have a crew out in the middle of nowhere all the time, even if it would be critical to understanding the formation of a typhoon or the like. But you can have a fleet of robotic ships systematically moving around the ocean. In fact this is already done in a variety of ways and by numerous countries and organizations, but much of the data collection is both passive and limited in range. A solar-powered buoy drifting on the currents is a great resource, but you can’t exactly steer it, and it’s limited to sampling the water around it. And weather balloons are nice, too, if you don’t mind flying it out to where it needs to be first. A robotic boat, on the other hand, can go where you need it and deploy instruments in a variety of ways, dropping or projecting them deep into the water or, in the case of China’s new USSV, firing them 20,000 feet into the air. 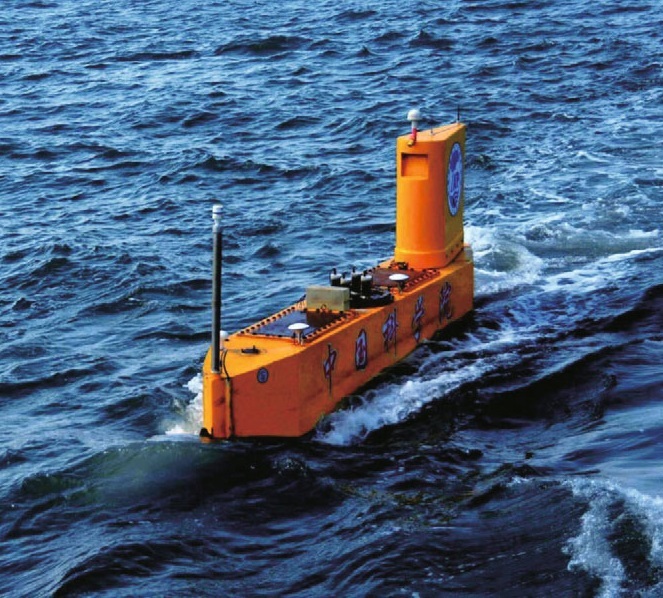 “Launched from a long-duration unmanned semi-submersible vehicle, with strong mobility and large coverage of the sea area, rocketsonde can be used under severe sea conditions and will be more economical and applicable in the future,” said Jun Li, a researcher at the Chinese Academy of Sciences, in a news release. The 24-foot craft, which has completed a handful of near-land cruises in Bohai Bay, was announced in the paper. You may wonder what “semi-submersible” means. Essentially they put as much of the craft as possible under the water, with only instruments, hatches and other necessary items aboveboard. That minimizes the effect of rough weather on the craft — but it is still self-righting in case it capsizes in major wave action. It runs on a diesel engine, so it’s not exactly the latest tech there, but for a large craft going long distances, solar is still a bit difficult to manage. The diesel on board will last it about 10 days and take it around 3,000 km, or 1,800 miles. The rocketsondes are essentially small rockets that shoot up to a set altitude and then drop a “driftsonde,” a sensor package attached to a balloon, parachute or some other descent-slowing method. The craft can carry up to 48 of these, meaning it could launch one every few hours for its entire 10-day cruise duration. The researchers’ findings were published in the journal Advances in Atmospheric Sciences. This is just a prototype, but its success suggests we can expect a few more at the very least to be built and deployed. I’ve asked Li a few questions about the craft and will update this post if I hear back. Dickey’s BBQ triumphs in all of U.S.